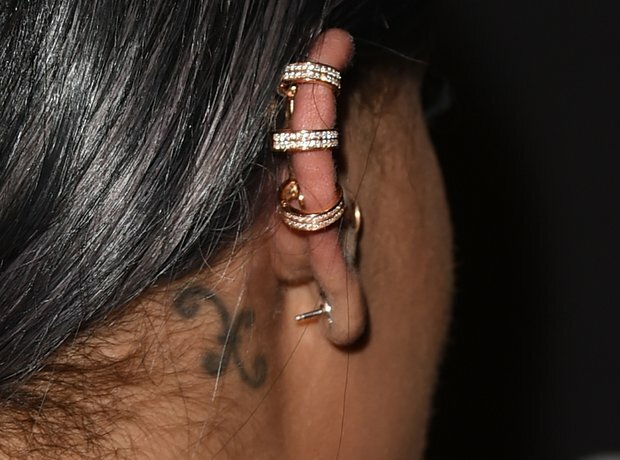 The Pisces symbol behind her ear. 24. The Pisces symbol behind her ear. Another early inking of Ri's is the symbol for Pisces, her astrological sign, behind her right ear. It was done by a famous Brazilian artist who makes his clients book three years in advance - lucky for Ri, they were in Tokyo at the same time and she got it done there and then.